Short Term Loan vs Long Term Loan: Which Personal Loan is Best? When Is a Shorter Term a Good Idea? When Is a Longer Term a Good Idea? The monthly cost of a personal loan is determined by 3 factors: loan amount, interest rate, and loan term. 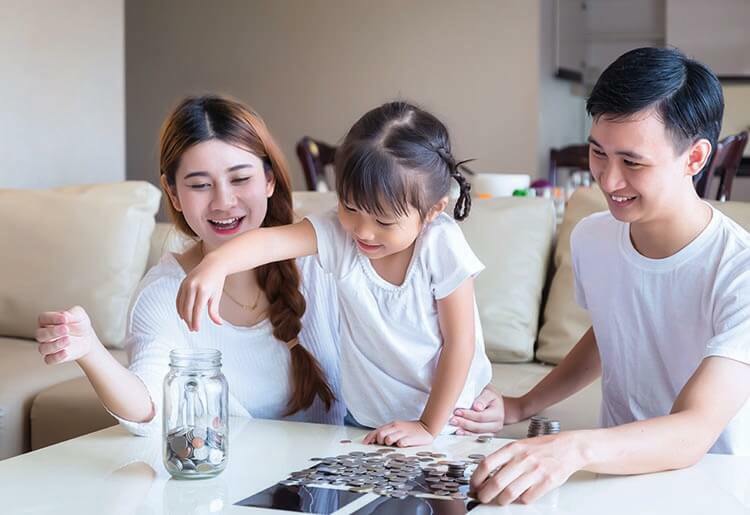 Whatever your reason for applying for a loan—whether it’s debt consolidation, home improvement, or anything else—you probably know approximately how much you need to borrow. The bank decides the interest rate based on your credit score and other factors (and tacks on fees that, when added to your interest rate, form your annual percentage rate, or APR). Assuming we hold loan amount and interest rate constant, the size of your monthly payments will be determined by the duration of your loan, also known as the loan term. The best way of comparing the difference between a short and long term is by looking at the numbers. There are plenty of free online tools that can do the calculations automatically. Here's an example, using a $10,000 loan with 5% interest and 1-year loan term. Now in order to repay the $10,000 loan amount, you’ll need to pay an average of $833.33 in principal each month. But because your balance decreases following each monthly payment, your interest payments also decrease each month—and your principal payments increase. Now that we understand how monthly payments are calculated, let’s look at a few examples. In each of the tables below, we hold the loan amount and interest rate constant, and compare loan terms of 1, 3, 5, and 10 years by the size of the monthly payment and total interest paid to the lender. In the examples in the previous section, notice the difference in monthly payment as the loan term changes. Not surprisingly, lower loan amounts and lower interest rates translate to lower monthly payments. But, holding loan amount and interest rate constant, shorter terms equal higher monthly payments (but less total interest paid) and longer terms equal lower monthly payments (but more total interest paid). Table 3 offers the most extreme example: a 1-year term costs 8 times more each month than a 10-year term, but costs 10 times less in total interest paid over the life of the loan. While we held the loan amount and interest rate constant for the sake of the examples above, the reality is that most lenders factor in amount and term when determining the rate. A higher loan amount often translates to a higher interest rate, because it increases the risk of the borrower defaulting. Short-term loans usually have higher interest rates than long-term loans, not to mention that they put the borrower at higher risk of missing payments and suffering the consequences. As a general rule, you should always aim to pay off debts as quickly as you’re able. The shorter a loan, the shorter the number of months or years in which you’re indebted to your lender—and the less you end up paying overall. Therefore, if you’re certain that you can afford the monthly payments associated with a shorter loan, and still have enough money left over for food, rent/mortgage, and all those other important things, then a short term is definitely the best option. If you aren’t confident of meeting the monthly costs of a short-term loan, then get a longer term with a monthly payment you can afford. If you take a shorter loan and end up missing monthly payments, you may be subject to additional fees and—in the case of a secured loan in which you put up an asset such as a car or savings account as collateral—you may end up losing the asset. By taking out a long term with affordable monthly payments, you trade the inconvenience of paying higher costs over the life of the loan for the comfort of being able to sleep well at night. There are hundreds, if not thousands, of lenders in the United States, offering personal loans with terms ranging from one month to 180 months. Why is there such a wide disparity when it comes to loan terms? The simple answer is that each borrower is different, and what works best for one borrower may be a disaster for another. When comparing the top personal loan companies, it’s important to shop around for the right lender, to be realistic about what you can afford, and to prepare a detailed budget to guide you on your ideal level of monthly payments. It can be tempting to take out the shortest term offered to you by your lender, or to go for the absolute lowest monthly payment (and therefore the longest term), but the truth is the most extreme option isn’t always the best option. So, what is the best loan term for you? Ultimately, only you can decide. If you do your due diligence, make calculations and research the best personal loans, you should be able to figure out what works for you.